As part of the partnership with the Institut Français for the joint France-Romania 2019 season, students studying lighting at Lyon University III have teamed up with architecture students from Leipzig University and master's degree students from Bucharest's CINETic Institute. 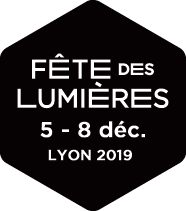 Having met in Leipzig last October, these young talents have created and produced a number of light installations to match the plants and architectural features of the Jardin André Malraux. These sensitive and poetic installations have been designed to enable the public to interact with the surrounding architecture. La Plattform is sponsored by the Fondation Hippocrène and the Région Auvergne-Rhône-Alpes.